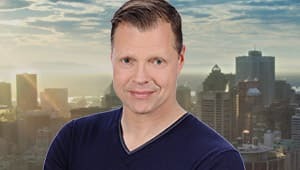 Daybreak Weekdays 5:30 - 8:30 a.m. Start your day in Montreal, with complete news, weather, traffic, sports and arts. 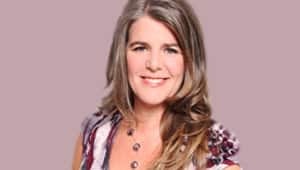 Quebec AM Weekdays 6:00 - 8:30 a.m. From Quebec City, Susan Campbell brings you news and stories from English communities across the province. Radio Noon Weekdays 12:00 - 1:00 p.m. Join Shawn Apel for news, interviews and live call-in debate. Homerun Weekdays 3:00 - 6:00 p.m. Sue Smith is in tune with the stories, people and events creating a buzz in Montreal. 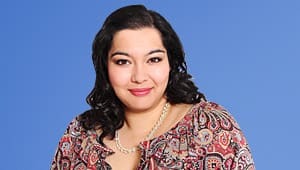 Breakaway Weekdays 4:00 - 6:00 p.m. From Quebec City, Jacquie Czernin connects with communities all over the province. All in a Weekend Weekends 6:00 - 9:00 a.m. Wake up to music, people and events that fill a weekend and make up life in Quebec. Cinq à Six Saturday 5:00 - 6:00 p.m. Take in the latest arts and entertainment stories from Quebec, with a twist of great music. and 6 p.m. Get top local stories from host Debra Arbec. Montreal at 11 Weeknights at 11 p.m. Get a concise, up-to-date report on developing stories, plus weather and sports. Montreal Weekends Saturday at 6:00 p.m. and Sunday at 11 p.m. Our weekend team brings you the local stories and weather that matter. C'est la vie Fridays at 11:30 a.m. A window into the life of French speaking Canadians through news and documentaries. À Propos Saturdays at 11:00 p.m. Discover the diversity and audacity of Quebec’s francophone music scene with Jim Corcoran. Wiretap Saturdays at 3:30 p.m and Thursdays at 11:30 p.m. Experience the endearingly odd, funny universe of Jonathan Goldstein’s friends, family and mind.